Watch your imaginary world come to life before your eyes! 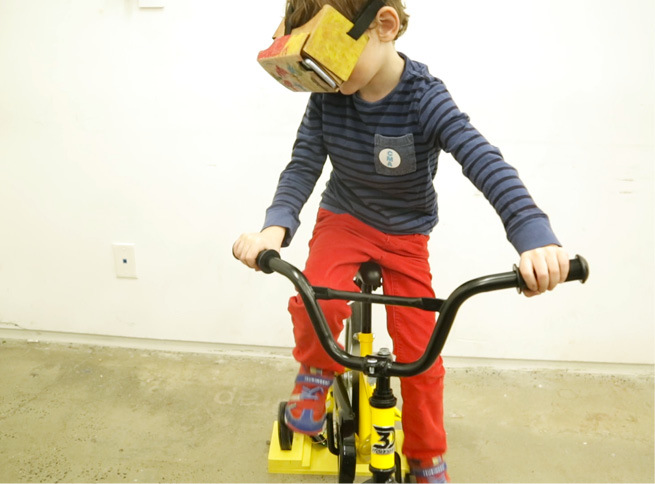 Ride a bike through a VR environment you make yourself with clay figures and drawn backgrounds! Combine the joy and tactility of hands-on creation with the digital wonder of Virtual Reality and enjoy as this experience guides participants through a fun-filled craft session. In this digital age, we are excited empower children as they interact with technology. Play Lab designs magical learning experiences with the power of emerging digital technologies. As digital products became a babysitter and a best friend for children, we re-design digital experiences that truly benefit children's cognitive development. 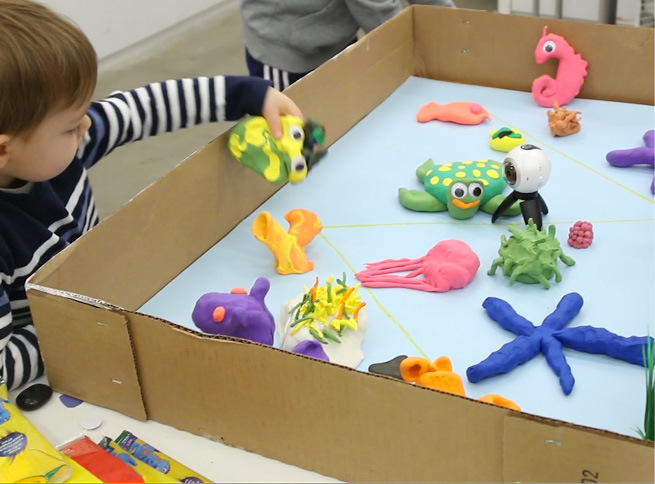 We want to be a part of creating a mixed reality future in which children are physically active, communicating with others, sharing intimate emotions, and learning through hand-on experiences. Combining the joy and tactility of hands-on making with the digital wonder of Virtual Reality, this workshop guides participants through a fun-filled craft session. The workshop seeks to bridge physical and digital creativity. 4. Get on a stationary bike and ride through the world! 5. Save AR Stickers as a souvenir. This helps participants review what they learned from the workshop.